You may be heard about the benefits of green tea. Everyone talks about the health benefits of green tea. But in this article, I’ll share some effective benefits of green coffee. Green coffee is the unroasted coffee beans. Green coffee is unroasted so they have a higher content of chlorogenic acid where as coffee beans are roasted so they lost all the chlorogenic compound so they become unhealthy. Chlorogenic acid is a type of antioxidant so it has many properties which are good for health. Now we’ll take a look at all the benefits of green coffee for the health. Green Coffee Beans are best capable of keeping the sugar levels in control and keep them lower in case of high sugar levels. It is also beneficial for diabetes patients also. 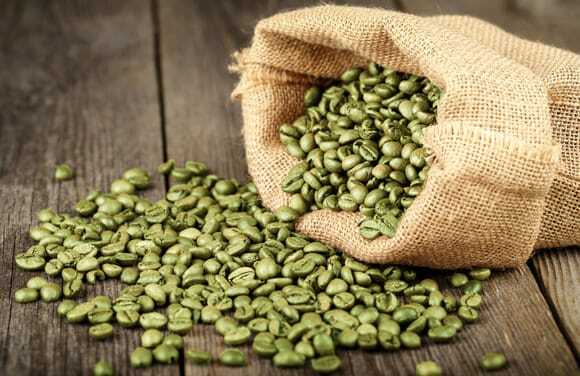 Green Coffee beans have the ability to boost our immunity system and burns the excess fat from the body. Chlorogenic acid found in green tea is the best metabolism booster. Due to increase metabolism, it reduces the release of glucose from the liver into the blood. Our body uses fat to meet the energy (glucose) requirement of the body. Green tea is the rich source of anti-oxidants. Antioxidants protect our body and fight against the free radical produced in our body and build up our overall health. Green coffee beans contain a large amount of help. It is a type of seaweed which is loaded and packed with vitamins and minerals. All these together helps to reach our metabolism at peak and burns of the excess or fats and calories faster. Green coffees also have the effect of vasodilation because it can control blood pressure levels. When Vasodilation happens the diameter of the veins become larger and hence helps to control high blood pressure.